This week we're working with Bradford Theatres and Bradford College to deliver a two-day In Our Shoes project. Bradford Theatres' START programme engaged with a group of English as a Second Language (ESL) students in their 2017-18 academic year. This group included a number of students who had recently come into the UK as asylum seekers, some under traumatic circumstances. They attended two productions at the Alhambra Theatre, participated in workshops and took a Bronze Arts Award as part of the START programme. This enhanced their learning at Bradford College, developing their oral and written language skills and assisting with integration into their new lives in the Bradford community. The START project is continuing with a new cohort of ESL students this academic year as the 17-18 group branches off to further develop their studies in different areas. However due to the astounding feedback and progress of the 2017-18 group Bradford Theatres and Bradford College were keen to continue working with this groups of students and In Our Shoes has provided the perfect opportunity. 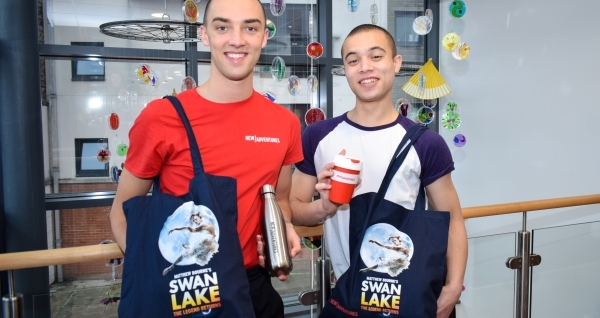 We will be giving the group of students an exciting opportunity to work closely with our dance artists, meet the company and get a unique insight into two large scale productions, starting with Swan Lake which opens at the Alhambra Theatre this week and continuing with Matthew Bourne’s brand-new production of Romeo and Juliet visiting the Alhambra Theatre in May 2019. 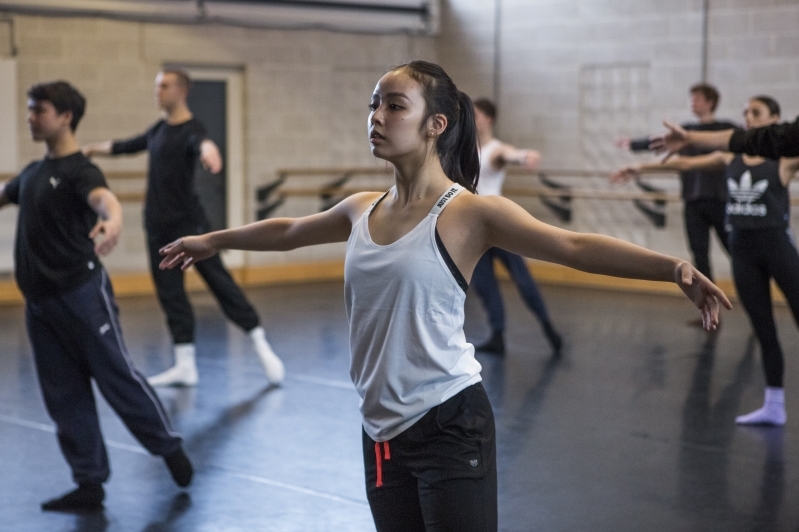 The group of students will spend a day of working with us exploring Swan Lake with a dance workshop and creating their own response piece to the show. The second day will give the students the chance to reflect and feedback on what they have learnt so far. This is followed by a backstage tour and a Q&A with some of the dancers. Then the students will have the chance to perform their piece to the company. After that they will watch company class and Swan Lake later that evening at the Alhambra Theatre. 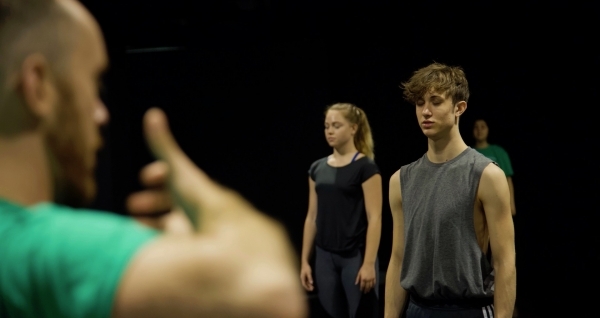 By the end of the intensive two days, the group should have a unique insight into what it takes to put on a New Adventures production and the various roles in the company, from dancers and creatives to costume and set designers, rehearsal directors and the technical team. The group will return to the Alhambra Theatre to see Matthew Bourne’s Romeo and Juliet in May 2019 and will work together at Bradford College and individually in the interim. They will use this experience as the basis for a Silver Arts Award, building on the skills previously gained at Bronze level. There will be 16 young people participating in the project. They will be supported by Bradford College tutor Esther Wilkey and the project is being administrated for Bradford Theatres by Julia O’Keeffe, Learning Co-ordinator. Esther and Julia are both Arts Award trained moderators. The project has been organised by Alexandra Ringham (Projects Manager) and will be led by New Adventures Resident Artist (maternity cover) Daisy May Kemp and New Adventures dance artist Luke Murphy - both of whom have performed in many of our shows. The project is supported by New Adventures and by local bridge organisation IVE, who will be providing £1,000 funding.